Britain's Prime Minister Theresa May leaves after a news briefing after meeting with EU leaders in Brussels, Belgium March 22, 2019. 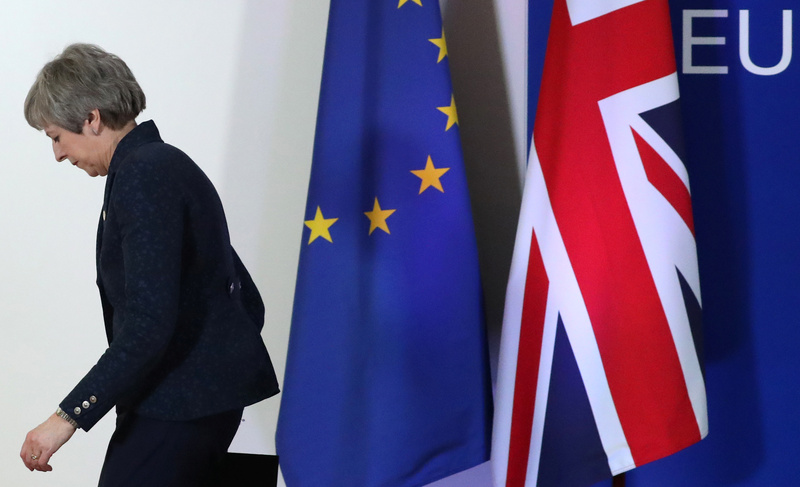 European Union leaders on March 21 gave UK Prime Minister Theresa May a brief reprieve before Britain could lurch out of the EU. The 27 countries kept open options that give Britain an outside chance of staying in the EU for much longer. The EU said Britain’s departure date would be extended from March 29 to May 22 if Britain’s parliament backed the withdrawal deal that May had agreed with Brussels. Failure to do so would mean the UK had until April 12 to approve an alternative plan, or apply for a longer extension that would require the country to participate in European Parliament elections, which will be held at the end of May. The pound was trading at $1.3115 by 0842 GMT on March 22, little changed from the previous day’s close.